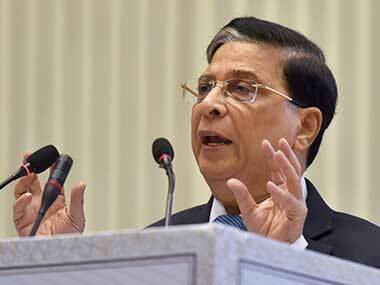 New Delhi: The decision of four senior-most judges of the Supreme Court to hold a press conference was on Friday termed as "unprecedented" by the legal fraternity, with some experts terming it as "shocking" while some others saying there could have been some compelling reasons for such a move. Some legal luminaries also said the turn of events had raised a question mark about the credibility of the judicial system. 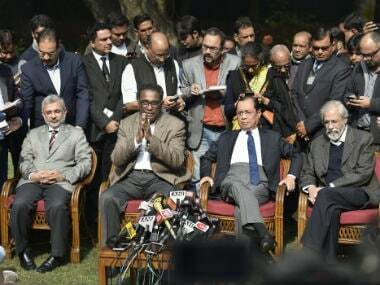 Senior advocates KTS Tulsi, former union law ministers Salman Khurshid and Ashwini Kumar, former judges Justice RS Sodhi and Justice Mukul Mudgal expressed concern over the unprecedented press conference, while senior advocate Indira Jaising welcomed the move and congratulated the four judges. BJP leader and Rajya Sabha MP Subramanian Swamy said when such judges come out to do a press conference, it is necessary to take them seriously rather than finding fault. Swamy said the prime minister should take an initiative and contact the chief justice and the four judges to resolve the whole situation through the process of consultation. However, Justice Sodhi questioned the move of the top judges approaching the media and asked how they can administer the Supreme Court through press conferences. "I am so pained at the outcome of the things... It is appalling. How can you administer Supreme Court by press conference. Are you going to hold a referendum and ask people what is right and wrong," Justice Sodhi said. Justice Mudgal said the four senior-most judges were bringing the issues to light which according to them was necessary to be brought to the public notice. He said they must have had compelling reasons to go public and "they are not publicity hungry judges and do not crave for unnecessary publicity". Terming the presser as "a welcome step", senior lawyer Indira Jaising congratulated the four judges for the "bold move" and said: "As they said they are discharging a debt to history, namely to let the nation know that something is going wrong and needs to be corrected." She said the intention of the press meet was "to build a consensus to owe a debt of duty to the institution as a whole and ensure that this institution survives for you and me." Advocate Prashant Bhushan also termed the event as unprecedented and said the judges took extreme decision to hold press conference under compelling circumstances. "These four judges are very responsible. If they are doing this, the situation would have definitely gone out of control. They said the CJI was misusing his administrative powers to allot all cases," Bhushan said. Senior lawyer KTS Tulsi said the step was quite shocking and one had never thought that "things would come such far compelling the four senior-most judges to adopt this course of action." "I am sure they (four judges) have exhausted all other remedies. One could see pain on their faces while they were speaking. The whole matter is with respect to judicial propriety. The question is of natural justice. Whatever is the law for common man, it is applied much more rigorously as far as judges are concerned because they must always be above suspicion," Tulsi said. Similarly, former union minister and senior advocate Khurshid said there were some deep differences among the judges about how the apex court should function, terming it as a matter of anguish. "I can only hope that conversation among the judges will not snap and will continue and that with accommodation and logic it will be settled. It has come too far," Khurshid said. Former Law Minister Ashwini Kumar said it was "a sad day for Indian democracy." "This press conference is a strike at the root of the institutional integrity of the higher judiciary. It has raised question marks about the credibility of the system as such and has directly cast aspersions at the head of the Indian judiciary. "I think the people of this country who have had highest regard to the highest judiciary will now be forced to think aloud as to whether we have gone gravely wrong somewhere," he said. 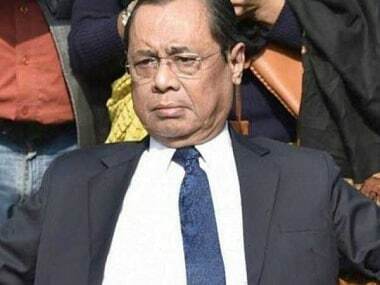 Accompanied by three senior judges Justices Ranjan Gogoi, M B Lokur and Kurian Joseph, Justice J Chelameswar himself said "this is an extraordinary event in the history of any nation, more particularly this nation and an extraordinary event in the institution of judiciary ... It is with no pleasure that we are compelled to call this press conference. "But sometimes administration of the Supreme Court is not in order and many things which are less than desirable have happened in the last few months." Follow all live updates on the issue here.